Finding the right home can be a difficult process but no matter what you are looking for as an experienced New Jersey company, we can provide you with the response you need to make the home buying process simpler, from specific neighborhood information, to tools to estimate your mortgage payments. Even buyer resources and articles that will help you through the home buying process. No matter which market you are in, you can use the marketing resources and the experience of qualified Realtors like us to help sell your home quickly and for the right price in today's market. We encourage you to check out our user friendly website for local neighborhood and school details, mortgage information, interactive maps and listings of properties throughout New Jersey. Please feel free to contact one of our experienced full time Realtors with any questions regarding your real estate needs. 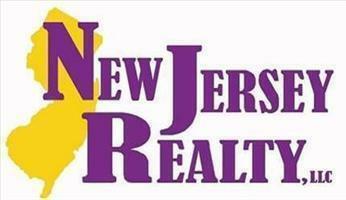 New Jersey Realty is the only realty firm with two offices based in Monroe Twp. at 174 Prospect Plains Rd and 477 Spotswood Englishtown Rd in the Park Plaza Shopping Center. You can be assured that New Jersey Realty is committed to serving all of New Jersey and we plan on staying grounded here. We pay attention to the details, understand the changing market and never overlook your bottom line. We can be reached at either location by calling 609-655-9222.